The festive spirit that year's end brings to homes and businesses is unmatched at any other time of year. From holiday decorating to glittering custom gifts that make our loved ones feel especially loved, now is the time to get our creative juices flowing. Beaded trims are the ideal way to customize both clothing and home furnishings to express culture, uniqueness, and tradition throughout the last quarter. Homes become showplaces, as we welcome others into our special realm for camaraderie and conversation, to celebrate each unique year of our lives. Memories are created here, and now is our opportunity to show our style and grace, whether we are entertaining or attending the celebrations of others. This is a time that we can really have fun with materials and create something completely "over-the-top." When it comes to holiday embellishments, it is "the more, the merrier, " since this is the only time of year anyone can truly express an excessively glitzy attitude and still be the life of the party! Whether you are creating unique accessories for the man on your list or special occasion apparel for parties, weddings and gifting events, almost anything is appropriate for merry-making apparel. Contact us to find everything you need to make the spirit of the season pop in your home or business. 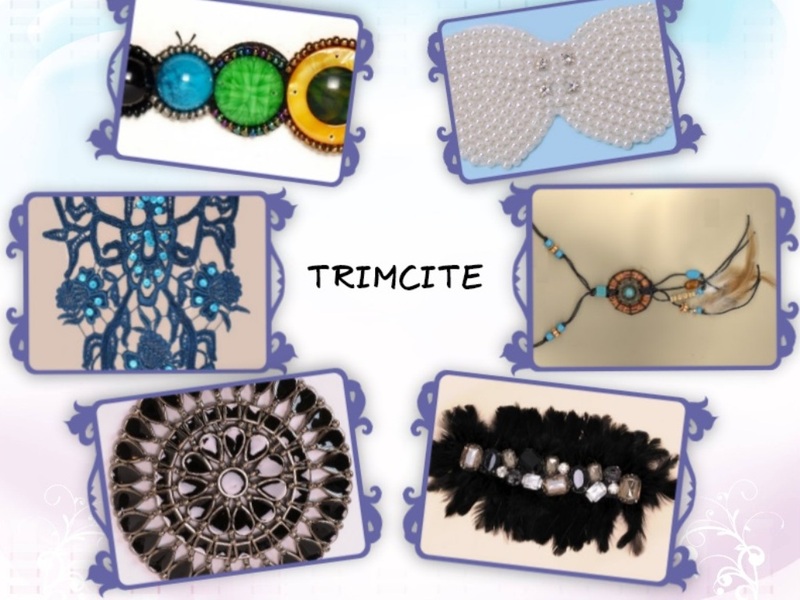 Trimcite sells and produces a wide array of embellishments for both wholesale and retail customers. Access our constantly changing inventory and customized trim-making services to create exceptional, individual details in all your holiday creations.